Deputy Minister of Internal Affairs, Pascal Egbenda ( Above ), says Yenga is not an issue : Is he right ? An opposition party outside Parliament, the (UNPP)-United National Peoples Party has called on President Ahamed Tejan Kabbah led Sierra Leone Peoples’ Party government to redeem the disputed boarder town of Yenga from the Republic Guinea before the end of his term of officer and his Guinean counterpart President Conte. This statement came, as reaction to what was recently refereed to by government officials that the town of Yenga is not is dispute therefore is not an issue regardless of the fact that other five villages have been encroached upon. Speaking in interview with Cocorioko, Lead constant for the leadership of UNPP; Mr. Mohamed Ben Kamara wasted no time to charging President Kabbah’s government, for using Yenga five other villages to pay compensation to the Guinean President Lansana Conte for the safe heaven that was provided for the latter and his Government when they forced in to a self-impose exile during the Armed Forces Revolutionary Council military coup that ousted ruling Sierra Leone Peoples Party in 1997. For Mr. Kamara, the permanent occupation of Guinean troops in Yenga, is a contravention and the violation of the franchise of the Sierra Leonean people in that part of the country adding that the SLPP government is ignoring the issue. 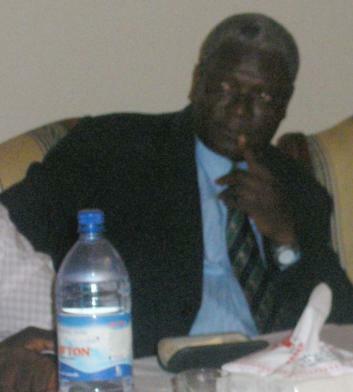 On where Yenga belongs, Mr. Kamara said “Yenga does not belong to Guinean but President Conte is intentionally holding on the town with his army, manning operations on the boarder for the simple reason that a promised has been made by President Kabbah to compensate President Conte for protecting the town if is restored to power. Mr. Kamara stated that the Guinean army is presently violating the constitutional rights of the inhabitants of Yenga as farmers in the area are no longer allowed to cultivate their lands any more. Therefore called on the Inspector General of Police, Mr. Brima Acha Kamara and the Chairman of the National Electoral Commission, Ms. Christiana Thrope to intervene promptly and put modalities in place so that come 2007 people of Yenga should only be seen voting on election day but the foreign troops vacate the land. “Let President Kabbah urge President Conte to give us Yenga so that our people can peacefully go back and do their farming,” he requested.